CARPROOF’s newly released data-driven appraisal tool — CARPROOF True Value — can provide more accurate values of used vehicles because it looks at vehicles' unique history, rather than just what it’s being listed for within a particular geographic area, according to company vice president of product management Greg Beckman. To calculate a specific appraisal, the new online tool leverages the company's extensive automotive data such as listing information, along with reports on prior damage, odometer readings and even where a car has been registered. “Based on the full data we have, we’re able to give a very accurate value for what that vehicle is worth,” Beckman explained during a recent phone interview. In addition to CARPROOF’s free True Value range, car buyers and sellers can also upgrade to get the specific True Value that includes the vehicle's unique history records. “What we’re doing with that is we’re providing a range of values for similar vehicles in a geographic area, and rate is based on full data, so it’s not based on what cars are being listed for. It’s actually generated and calculated based on what the cars are selling for in that area,” Beckman said. “With that range you get a good idea of what that vehicle would be worth but then get a vehicle’s specific amount, which is our ‘True Value’ — that value is calculated based on a car’s unique history,” Beckman explained. CARPROOF’s exact True Value is based on a combination of what similar vehicles have sold for and history reports. Along with odometer readings and more, vehicle history information also includes important information regarding how the vehicle has been serviced or any accidents it may have been in, according to Beckman. 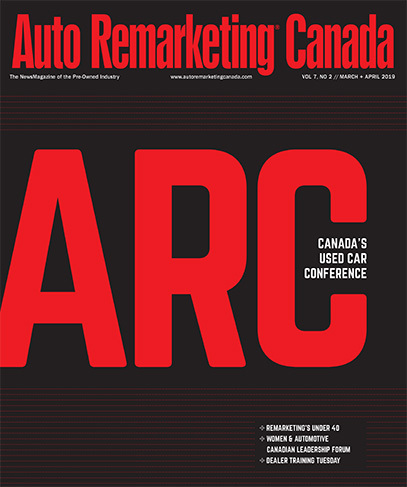 CARPROOF is one of the presenting sponsors at the Auto Remarkting Canada Conference later this month. The event is being held March 27-28 at the Westin Harbour Castle in Toronto.